California's Mount Shasta has been the subject of an unusually large number of myths and legends. In particular, it is often said to hide a secret city beneath its peaks. In some stories the city is no longer inhabited, while in others it is inhabited by a technological advanced society of human beings. According to local Indian tribes, Mount Shasta is inhabited by the spirit chief Skell who descended from heaven to the mountain's summit. 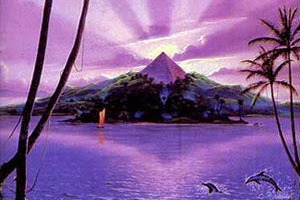 Skell fought with Spirit of the Below-World, Llao, who resided at Mount Mazama. Writer Joaquin Miller recorded various related legends in the 1870s. In the mid-19th Century paleontologists coined the term "Lemuria" to describe a hypothetical continent, bridging the Indian Ocean, which would have explained the migration of lemurs from Madagascar to India. 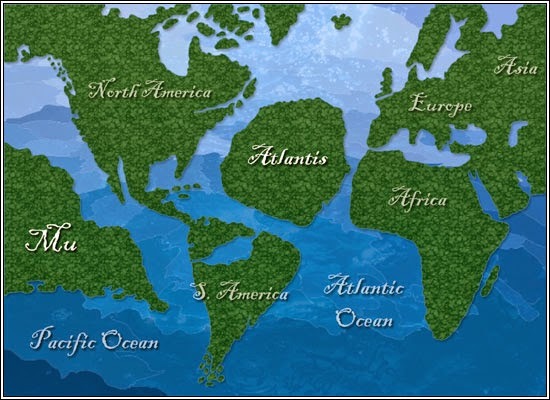 Lemuria was a continent which submerged and was no longer to be seen. By the late 19th Century occult theories had developed, mostly through the theosophists, that the people of this lost continent of Lemuria were highly advanced beings. The location of the folklore 'Lemuria' changed over time to include much of the Pacific Ocean, and the name Mu gained prominance. In 1899, Frederick Spencer Oliver published A Dweller on Two Planets, which claimed that survivors from a sunken continent called Lemuria were living in or on Mount Shasta. These Lemurians lived in a complex of tunnels beneath the mountain and occasionally were seen walking the surface dressed in white robes. In 1931, Wisar Spenle Cerve wrote a book, published by the Rosicrucians, about the hidden Lemurians of Mount Shasta that cemented the legend in many readers' minds. According to legend, JC Brown was a British prospector who discovered a lost underground city beneath Mt. Shasta in 1904. Brown had been hired by The Lord Cowdray Mining Company of England to prospect for gold, and discovered a cave which sloped downward for 11 miles. In the cave, he found an underground village filled with gold, shields, and mummies, some being up to 10 feet tall. Thirty years later, he told his story to John C. Root who proceeded to gather an exploration team in Stockton, California. 80 people joined the team, but on the day the team was to set out, Brown did not show up, and never heard from again. Many people still believe there is an ancient Lemurian crystal city underneath Mount Shasta called Telos. It’s actually considered only a part of a much larger Inner Earth complex of cities most often called Agharta. The many cataclysms and wars that took place on the Earth’s surface was said to have driven a segment of the earth's inhabitants underground. These cities were created as refuges for the people and safe havens for sacred records, teachings and technologies that were cherished by the ancient cultures. According to that legend, there are several entrances to the many cities of Agharta throughout the world and Mount Shasta is said to be one.